Running time 3 minutes 55 seconds. Click the photo below to see the video. 'Conversation With A Pebble' (2017) is a collaboration with poet Alyson Hallett and musician Chris Hardy. The Geological Society tweeted it on Oct 4th 2018 for National Poetry Day! 'Conversation With A Pebble' takes us deep into the heart of what it means to be alive and responsive to the world around us. It is based on the poem, ‘Conversation With a Pebble’ by Alyson Hallett, from the collection Suddenly Everything (Poetry Salzburg). Musician Chris Hardy, of ‘Little Machine’, was intrigued by the poem and set it to music to be performed as a song (musical setting produced, engineered and additional instruments by Steve Halliwell). Chris sent Alyson a recording and raised the idea of having a video to go with it. Alyson immediately thought of Julia Giles, a visual artist and film maker who she had met, and collaborated with, after they had both been awarded a joint residency at the Endellienta Trust. Julia was in Cornwall when she received the musical composition. The seascape and landscape immediately lent itself as an ideal companion to the song. With Chris’s interpretation of ‘Conversation With a Pebble’ in her head, Julia went out for a walk on the coast and took her camera with her. 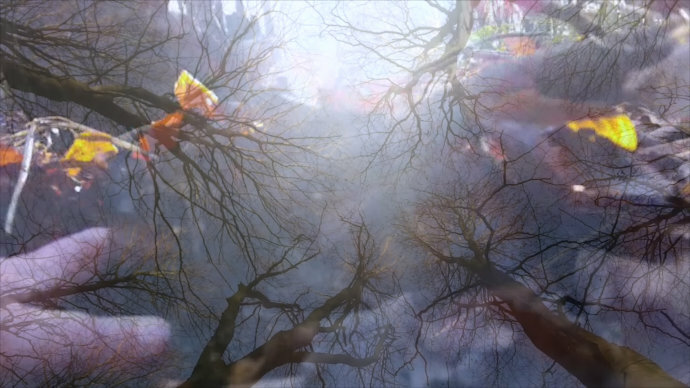 The resulting film poem is a four-way collaboration: poet, musician, artist, landscape. 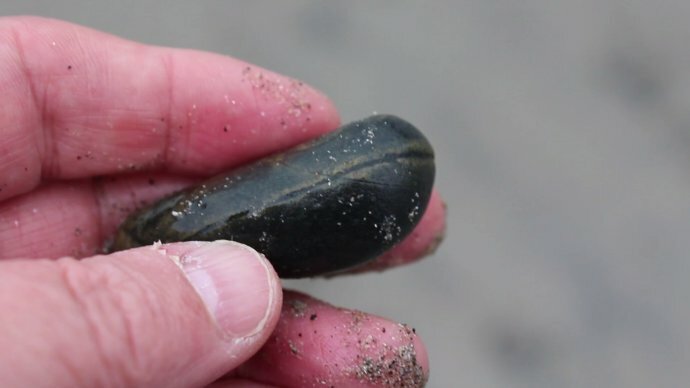 Stones are often regarded as the record keepers of the planet - both in geological terms and with regard to the history of the people and things that have lived here. 'Conversation with a Pebble' introduces us to the idea of memory and time that lies hidden in the body of a stone.